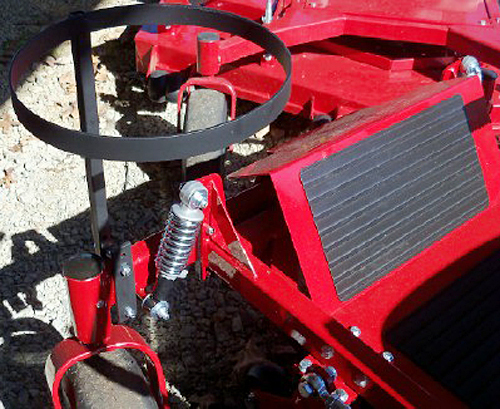 This Zero Turn Mower attachment saves you time, money, and hassle when your in the seat trying to get the day's cutting done. 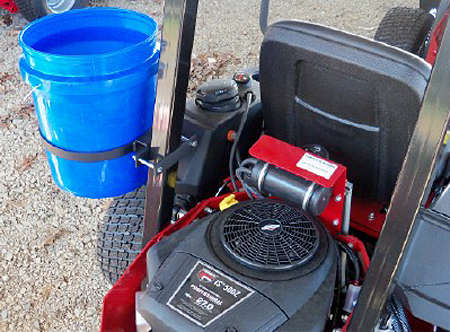 It simply clamps onto your mower and allows you to carry a five gallon bucket for trash collection right on the mower so you always have a place to put the trash that's found on the ground at almost each location you service. 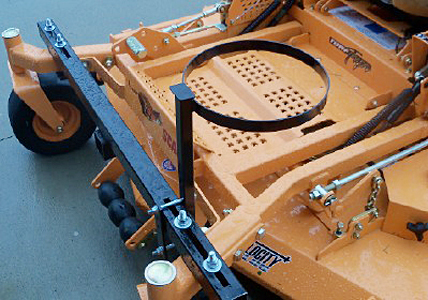 No drilling or modification to the machine is required to use the holder. 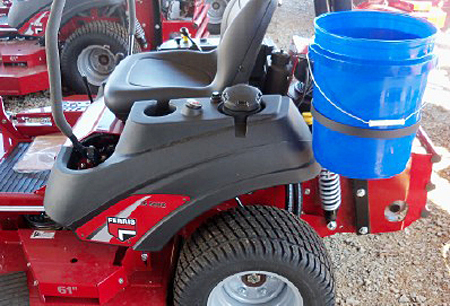 The frame mount bucket holder simply clamps to an area on your frame of your choice on the front of your machine. 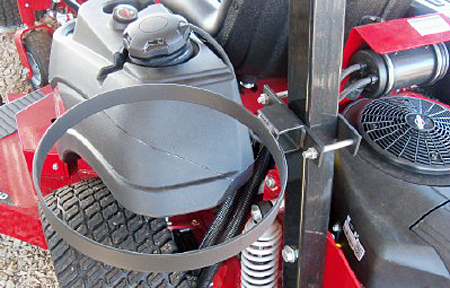 Fits most any Zero Turn Mower that has a small space on the frame that the mounting clamp can be attached to. 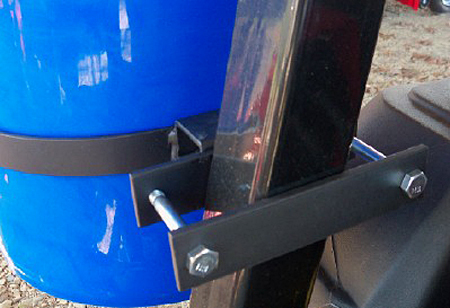 The roll bar mount bucket holder fits most any roll bar in about any location of the bar you choose. It also just simply clamps to the roll bar with not drilling. 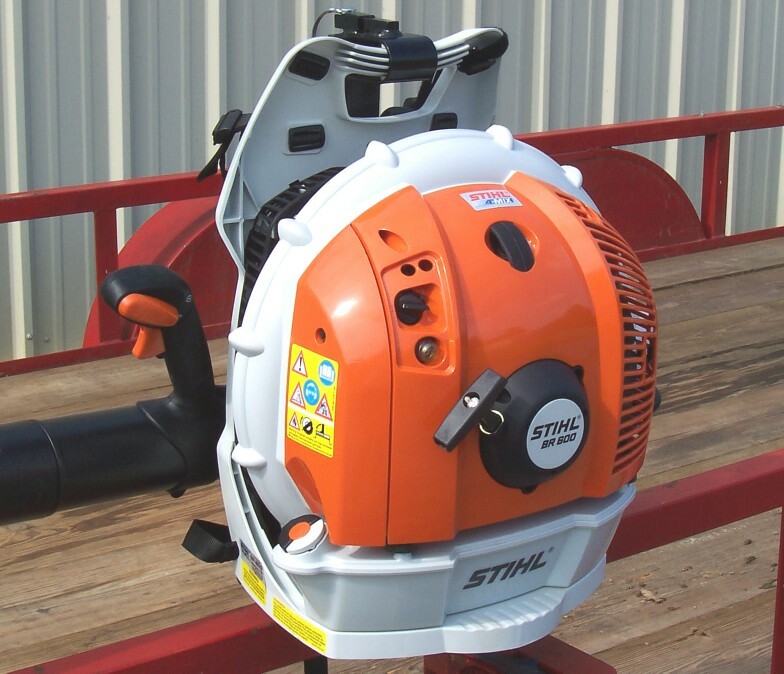 Both come with mounting hardware included to fit most machines. 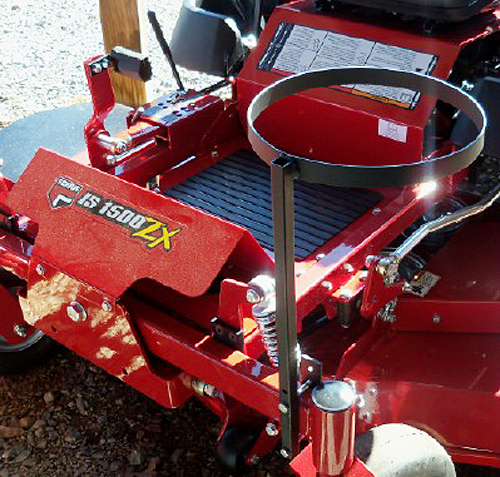 Some machines may require additional hardware due to the diversity of machines available and varying size of frames and roll bars. 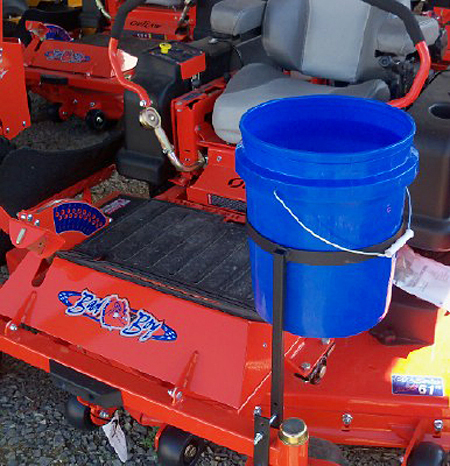 Once attached, just simply drop in a five gallon bucket and your ready to go. 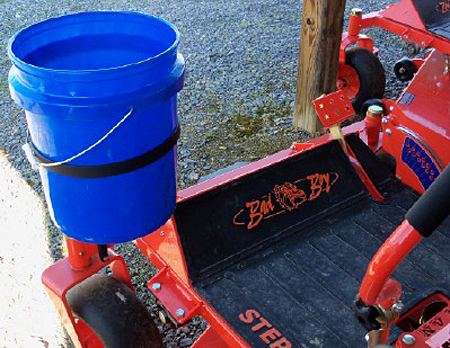 Uses most any five gallon bucket (bucket not included). 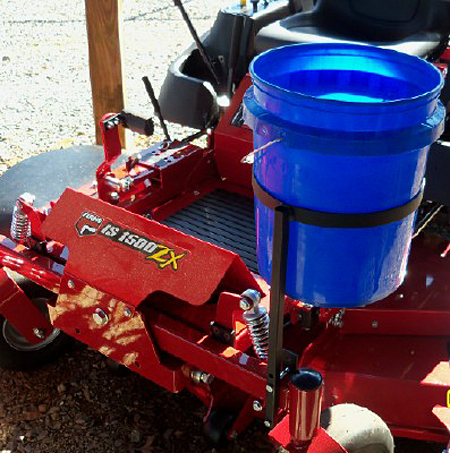 Makes a great combination to go with your grabber / reach tool eliminating the hassle of trash on the ground where you're mowing. 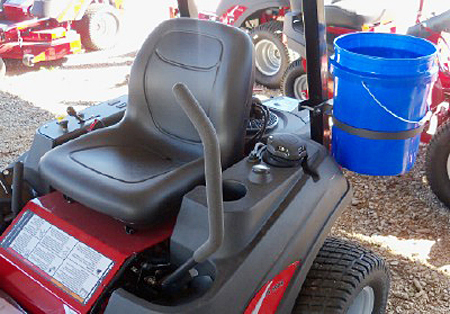 It is also great for transporting just about anything you need to carry with you for the job at hand.